Lakehurst Army Reserve ECS | Joseph Bergin Architect P.C. 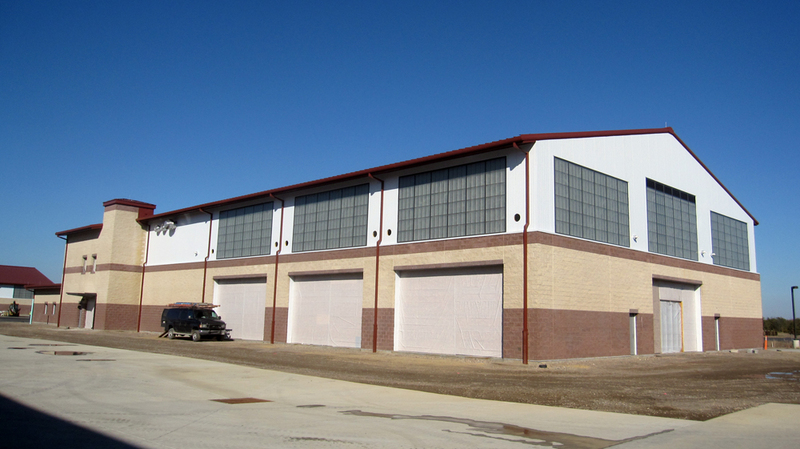 The Army Reserve Equipment Concentration Site (ARECS) is comprised of a new 32,900 square foot Vehicle Maintenance Facility (VMF) and a new 55,000 square foot general purpose Warehouse Storage Facility. Both buildings are designed to achieve a USGBC LEED Silver rating. The VMF houses vehicle repair and maintenance areas that feature an overhead bridge crane, vehicle maintenance pit, and specialized repair areas. 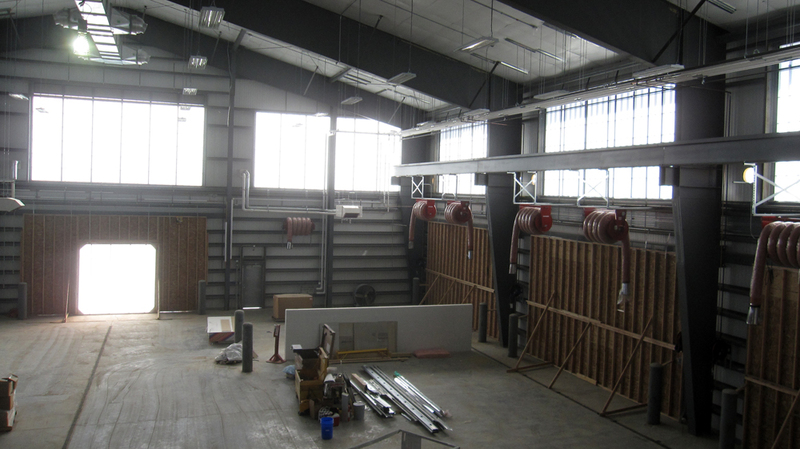 The main level also contains supporting spaces including locker rooms, equipment repair and utility & storage spaces. The second floor of the VMF’s two-story core houses administrative, instruction and training areas. The Warehouse is a single story building primarily dedicated to general purpose storage by means of a high pile pallet racking system of nearly three hundred 4’ x 8’ units. The Warehouse includes a supporting core area comprised of administrative, training and specialized equipment repair spaces. 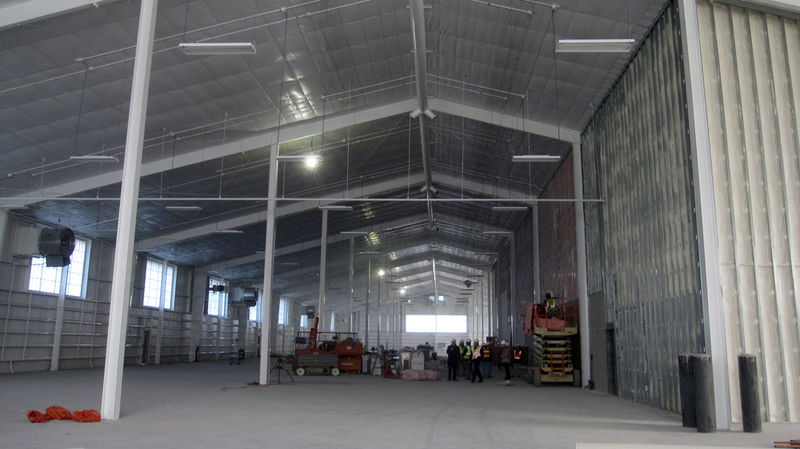 The VMF and Warehouse are both comprised of pre-engineered metal buildings with mechanically seamed metal roof systems and insulated metal wall panels. Additionally, both buildings include GSA certified Arms & COMSEC vaults. Joseph Bergin Architect P.C. provided architectural design services and construction documentation for the project, as well as contract administration services.